Petrillo Stone co-owner Ralph Petrillo is part of the third generation of the Petrillo family to run the company. Ralph and Frank Petrillo, the grandsons of founder Antonio Petrillo, continue the legacy of providing excellent quality natural stone to New York City and beyond. The company operates out of Mount Vernon, New York and has completed hundreds of projects in New York City. 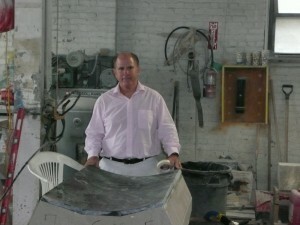 Ralph Petrillo grew up in and around Petrillo Stone Corporation. He worked at the company as a young man and now runs the business. Ralph is a graduate of the University of North Carolina and has a MBA from Iona College. Ralph, his wife Mia, and their two daughters continue to call the area home. In his free time Ralph enjoys tennis and the many social clubs and groups of which he is a member.